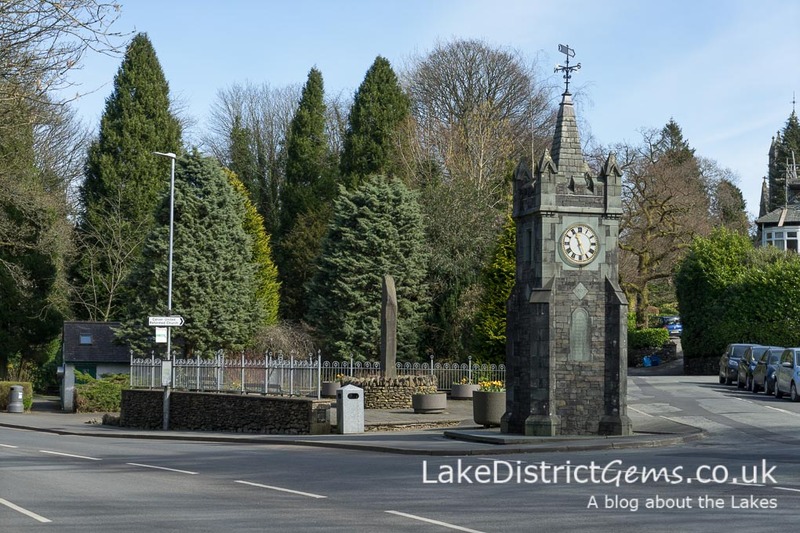 If you’ve ever taken the drive along New Road and Lake Road between the village of Windermere and neighbouring Bowness-on-Windermere, you may have noticed a small but intriguing clock tower halfway between the two. You may even have walked past, but not stopped to take a proper look at the inscription on the front. It’s referred to locally as the Baddeley clock, but what exactly is it? 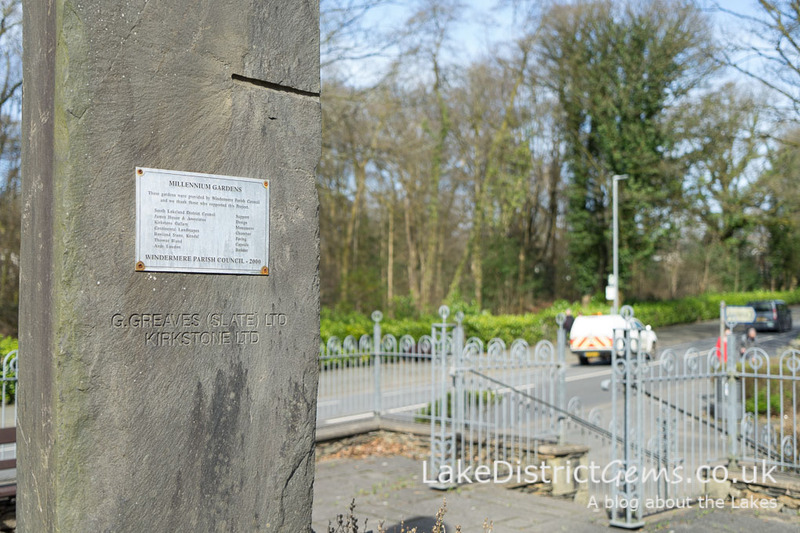 Well, according to Windermere Town Council, the clock marks the division between Windermere and Bowness-on-Windermere, and was built as a memorial to a highly regarded local guide writer, Mountford John Byrde Baddeley. Wanting to know more, I had a hunt through some local books, but found little except for the fact that his grave can be found in Bowness cemetry, with a headstone made from rock brought from the summit of Scafell Pike – I’ve not been to the grave, but thank you to Colin Shelbourn for that snippet of information! (found in his book Lakeland Towns and Villages, published by Forster Davies Ltd, 1988). Unable to find any more information on my bookshelf or those of the local libraries, I turned back to the internet to find out who exactly Baddeley was, but in the end it was up to good old Wikipedia to save the day! Born in 1843 in Staffordshire, Wikipedia says that Baddeley worked as a classics master and after retiring from teaching, moved to the Lake District. His guides were part of a series of several he edited along with a Charles Slegg Ward, called the ‘Thorough Guide’ series. This included guides to several locations around the UK such as the Isle of Wright, Peak District, and Scotland. His guide to the English Lake District, published in 1880, was printed into at least its 26th edition. So now we know – well, if Wikipedia is correct on the matter that is! The Baddeley Clock is a lovely little feature and a particularly useful landmark to refer to when giving out directions! Don’t forget to look out for it next time you’re passing the area, and if you know any more about the clock or Baddeley the guide writer, do let us know in the comments below. 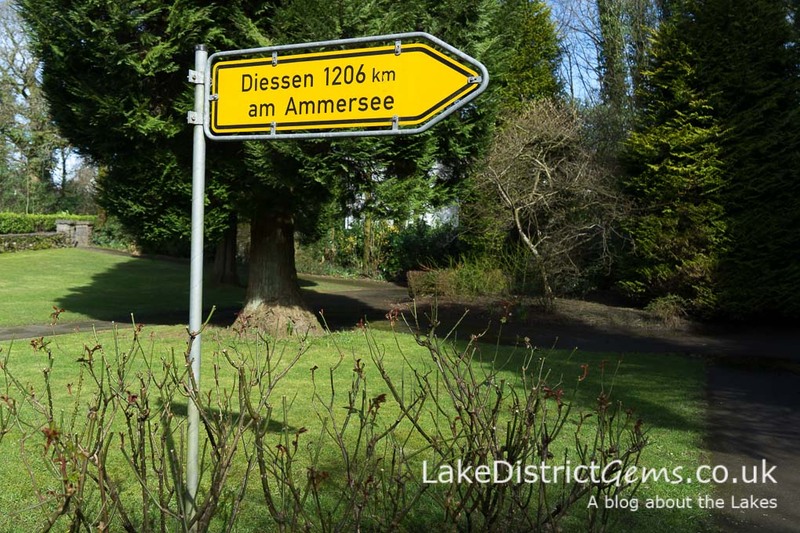 And just in case you’re especially eagle-eyed, in the park gardens behind the public toilets is a bright yellow sign bearing the words, ‘Diessen am Ammersee‘. The Windermere and Bowness Chamber of Trade website says that this was added to the park in 2007 to point out the direction and distance to Windermere’s twin town in Bavaria, Germany, and was a gift from the people of Diessen to Windermere and Bowness, along with 10 rose bushes from the Lions group of Diessen. Apparently the roses are a yellow and white rose species specially created for the Lions, and were planted in a rose bed in the shape of a ‘D’. They have a sign in Diessen too – so if you choose to follow it, at least you’ll be able to find your way back home again! There are quite a few intriguing historic roadside features in the Lake District – so much so that I think I’ll be writing more about them again very soon. Have you got a favourite? If so, let me know by leaving a comment below! There’s so much of intrigue when you’re travelling around the Lake District – I hope to cover more historic features soon! A couple of years ago I took a series of photos of roadside drinking fountains and troughs in the Coniston area. They are a curiosity from the past and I keep meaning to do a blog with them. It might be an idea you could use. Thanks very much for commenting, Robin. 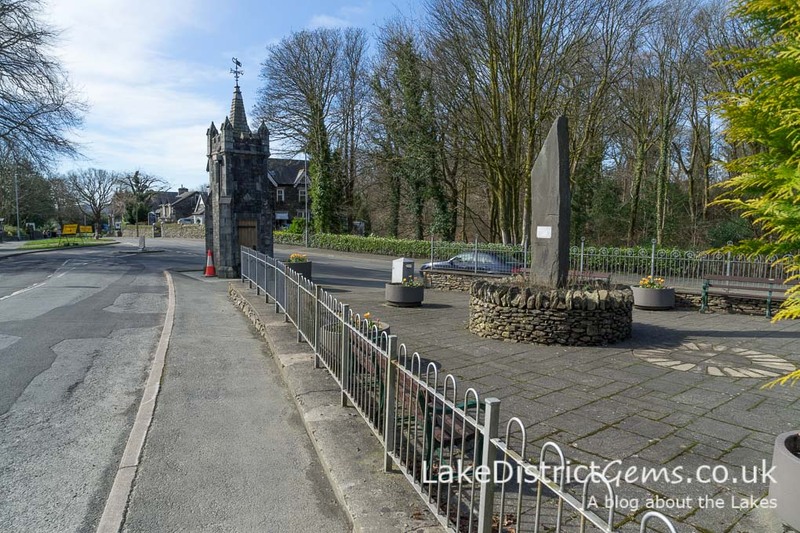 You should definitely do a post about the roadside drinking fountains and troughs around Coniston – funnily enough, I don’t remember seeing them anywhere there, so I would be very interested to read about them! I’ve got photos of a couple in Troutbeck I thought I’d use, along with other landmarks of interest like the AA box at Dunmail Raise. There’s so much of interest easily missed in the car, isn’t there? !